Few days ago I drove to my outreach clinic which is an hour and a half away. As I mentioned in the past, the drive there is mostly serene and relaxing, going through picturesque rural Iowa landscapes. Unlike the frustrating drive through EDSA being stuck in traffic for an hour and half. It was a beautiful spring day too, with colorful blossoms on the trees lining the highway. While I was cruising down the road and listening to the music, it took me back 25 years ago. To be exact, it was a Saturday night in January of 1993. I was a fresh graduate from medical school, and I just passed the Philippine Medical Boards. Some of my friends had been harassing (kantiyaw) me for days to take them out to eat as a celebration for my recent board passing. So I told them, perhaps the coming weekend after a church function, we can go out if we wish. A wishy-washy plan. There was this girl, a friend of a friend, who recently became part of my circle of friends, that I knew it was her birthday that weekend so I brought a gift just in case she’ll show up and join the party. Jim Chappell is an American jazz pianist. I’m not really a jazz type-of-guy. I am more of Pinoy folk, rock and country type-of-guy, with favorites like Freddie Aguilar, Asin and Eraserheads. But when I’m studying, I avoid those songs, as I would break out in a song which will be disruptive. So I gravitate to instrumental music or music without words. That’s how I end up listening to jazz music, especially when I was reviewing for my boards. As I was listening to a smooth jazz radio station in Manila, I heard the music of Jim Chappell, and I got hooked. I bought my first album of his, “Living the Northern Summer.” I love his music so much that I shared this to my friends, as I gave them Chappell’s album as a gift. And that brought me to that particular night in January 1993. I bought the album “Saturday Rhapsody” as a possible gift. That is if this particular girl would show up that night. If not, I can keep it for myself, for I still don’t have that album anyway. But the girl showed up. Darn, I would like to keep that cassette tape for me! Yet it was also a good thing, since it was her birthday, thus it was her blowout too. So she shared on the bill for the restaurant meal for our group, saving me some money. After seeing the album, this girl thought that the music was kind of “bastos” (lewd), as the picture on the cover of the album was some sort of a naked woman (see photo below). She also thought I was “presko” (fresh or impudent)! But afterwards, when she listened to the album, she found that it was decent music and she liked it. It changed her impression of me too. We became good friends since then. We even went together to the concert of Jim Chappell when he came to Manila and performed at the Philippines International Convention Center in the summer of 1993. In the end, the album that I gave away, became mine eventually and I didn’t have to get one for my own, as she and I shared it together. We have been sharing more than just music together for the past 25 years. Here’s a sample of one of the songs in that album “Saturday Rhapsody.” This song is “A Weekend to Remember.” It really was. Two days ago I drove down to Osceola, Iowa, to see patients in one of our satellite clinics. It is once every 2 months, that I go there. I started doing outreach clinic when I began my practice here in Des Moines, when my schedule was not that busy yet. Now that I am very busy, with my clinic appointments bursting in the seams, I still kept my outreach clinic for two reasons. 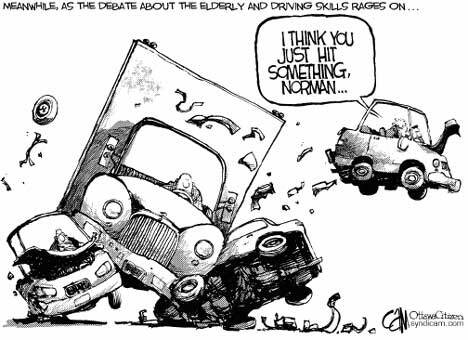 First, I cannot find a more grateful group of patients, especially the more elderly that cannot drive far anymore. They are very appreciative that we come to them, and save them the trouble of driving to Des Moines. Second reason, I really don’t mind the drive, in fact I even enjoyed it (except when there is a snowstorm or icestorm). And I use this roadtrip as a break from my routine daily schedule. Osceola is a small town, about 50 miles south of Des Moines, which takes me less than an hour to drive to. It is very accessible as it is a straight shot from Interstate-35, and involves no traffic at all. 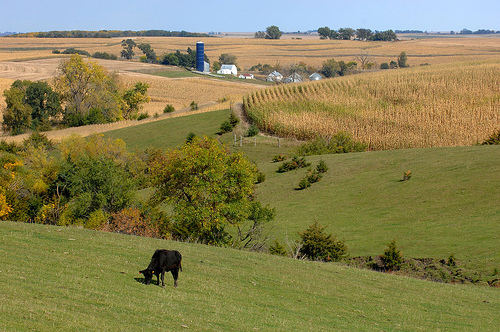 The scenery along the way is also pleasant, with its typical Iowa landscape: rolling hills of prairies with their colorful wild flowers, interspersed with vast cornfields and soybean fields. There are ranches too with cattle and horses grazing in the meadows, with farmhouses, barns, and silos. The best part of the drive though is the quiet time I have all by myself. I would just pick a CD to listen to, and I’ll be in a Zen-like state. I can choose to play The Eagles, America or Bread, and I’ll be back in time of my highschool days. Or I can pick a more recent one, like one of the albums of Norah Jones (which I have a complete set) and I’ll be lost in a dream listening to her soothing smokey voice. For about 45 minutes, I was lost in time and space, while my car traveled at 75 miles an hour (no, that’s not speeding), and while the Eraserheads (my pick of the day) was playing loudly in my radio…….”Magda-drive ako hanggang buwan”.